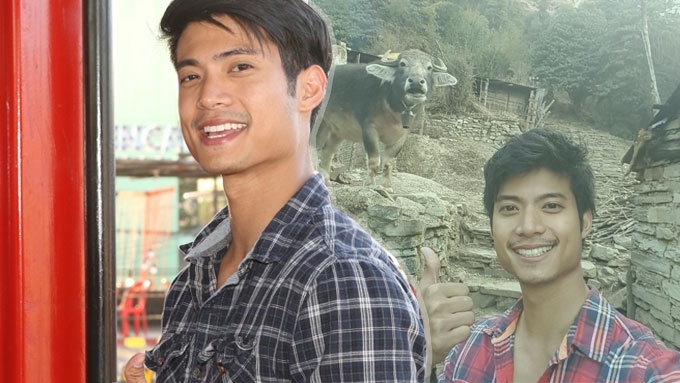 Mikael Daez: "Life seems so short, so how do you make the most out of it?" There are tons of reasons why more and more people are getting hooked on traveling. It can be thrilling for the adventure seekers. It can be a stress buster for the busy people. 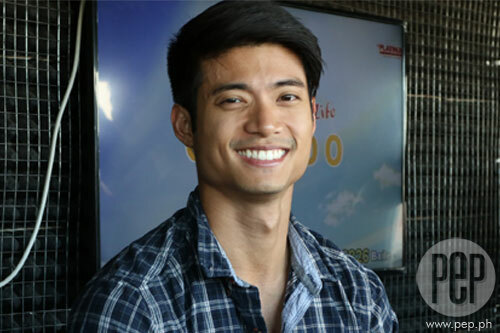 For Mikael Daez, it is like a retreat, and knowing himself better. Hence, he likes traveling alone. In an exclusive interview with PEP.ph (Philippine Entertainment Portal) at the Carnival Marikina Food Park on March 30, 2017, the Kapuso actor shared how his trips helped him overcome a personal crisis. The Legally Blind star narrated, "There was a time na siguro may existential crisis ako noong college. "And then naisip ko, when my dad passed away very young, he was 41 while I was 16 years old, so I was thinking, okay, life seems so short, so how do you make the most out of it? "How do you make your life parang fulfilling or how would you be happy with it? "Para sa akin, it's having those moments na memorable, those experiences na memorable. "And how do you have memorable experiences? For sure, it's not the usual regular thing that you do. "So if you go to work every day, that's not memorable. "It's just the same thing all the time." His first trip, which happened right after he started working in the entertainment industry, was in Bali, Indonesia. Mikael went on to enumerate the benefits of traveling. He resumed, "The beauty about traveling is that you get out of your comfort zone. "Iyong routine mo na lagi mong ginagawa, biglang ilalagay mo iyong sarili mo sa isang lugar na wala kang alam. "Kahit may cellphone ka, kahit may computer ka, kahit may internet ka, you're in a place na iba yung tao, iba yung tingin sa iyo, iba yung tingin mo doon sa mga tao, and ibig sabihin nun na you have to adjust. "In other words, you have to grow. "You have to go beyond yourself. "Iyon yung thrill na nakikita ko sa travel." The TV host added, "Nakikita ko kung anong klaseng tao ako when I'm put in a place na hindi ko alam kung ano yung mangyayari. "How do you react? Do you cry, do you laugh, do you talk to people? "What's the first thing you look for? Will you look for a phone to call home? Or you will look for a new food?" "Say, it's your first trip, your second trip, iba yung gagawin mo. Your third trip, iba na naman yung gagawin mo. "It's connected to each of the previous trips. "And those points are so memorable kasi when you see all the points where you're growing, makikita mo kung ano yung make up ng pagkatao mo. "Makikita mo, 'Wow, ganito ako dati, tapos naging ganito na ako.'" The 29-year-old-actor remarked, "Isn't that a good story to tell?" Mikael has only three words for you: "Just do it!" He elaborated, "It's actually not very complicated. "I mean, nakakatakot siya, possibly traumatizing. "Pero hindi mo kasi alam, you don't know what's there until you try it."